Pitney Bowes, a global technology company that provides commerce solutions in the areas of ecommerce, shipping, mailing, and data, today published key findings from the 2018 Pitney Bowes Global Ecommerce Study. 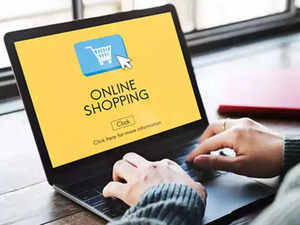 As online retailers and marketplaces prepare for record volumes of ecommerce orders this holiday season, the study found that about 61% of consumers globally felt let down by their online shopping experience during the last holiday season. This figure is up significantly from 47% in 2017, and 41% in 2016. Consumers pointed to post-purchase experiences, including items arriving late, expensive shipping, tracking inaccuracies, confusing returns policies, and lost or incorrect items as reasons for their dissatisfaction. “Increasing number of consumers are telling us that the post-purchase experience is every bit as important, if not more, than the shopping experience,” said Lila Snyder, president of commerce services at Pitney Bowes. “The silver lining for retailers: consumers are giving you the blueprint for how to get it right, and those who get it right will be rewarded with customer loyalty and revenue growth,” she added. Consumers still rank “free shipping” as more important than “fast shipping.” Globally, 76% of consumers prefer “free” over “fast.” In India, 56% of consumers prefer free shipping over faster delivery. The study also revealed that consumers in India are shopping online more frequently, and they prefer marketplaces. Nearly everyone is shopping online – 94% of consumers globally; unchanged year-over-year. But, the frequency with which consumers shop online is accelerating. Globally, 35% of online shoppers make an online purchase at least weekly. In India, 68% of online shoppers are purchasing from a marketplace, as opposed to a shopping with an online brand. For the first-time, fewer consumers said they were shopping cross-border dropping from 70% in 2017 to 64% in 2018. The US, China and Japan were the only countries where the number of cross-border shippers increased in 2018. Still, the market continues to grow because those who are shopping cross-border are doing so more frequently. Twelve-percent of consumers globally are now shopping cross-border at least weekly, up from 10% in 2017. The 2018 Pitney Bowes Global Ecommerce Study is based on surveys of more than 13,000 consumers in 12 markets, combined with surveys of 650 retailers in the US, UK, India and Australia. The report is intended to help guide retailers and marketplaces in their investment decisions and go-to-market strategies.